Home > News > Discover the 2016 awards ! Discover the 2016 awards ! 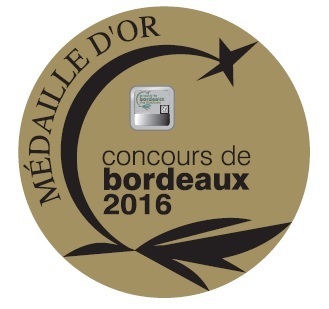 1 140, this is the number of award-winning wines chosen during Saturday, May the 21st at the Bordeaux Competition – Aquitaine Wines . 452 Gold medals, 478 silver medals and 210 Bronze medals were awarded. 900 Vine and Wine professionals gathered at The Bordeaux Convention Centre to celebrate 60 years of The Bordeaux Wine Awards. In total , 3,804 samples were tasted, from 95 different appellations. Only 29.97 % have therefore finally been given awards. This is demonstrated in large retail chains: where the offer may appear complex and not easily read, then the award is a benchmark of choice for buyers in search of markers that won’t let them down. The Bordeaux Wine Awards has become over the years a reference for all those involved in the wine industry and an indication of good value for consumers. A reference that has become established over time as the The Bordeaux Wine Awards today celebrates its 60th year. Certified ISO 9001, The Bordeaux Wine Awards is known for its rigorous organization and the reliability of its results. The Bordeaux Wine Awards – Aquitaine Wines is an event organized by the Gironde Chamber of Agriculture, with regard to the Aquitaine Agricultural Show and the Bordeaux International Fair.